Eureka Springs is home to many great spots for any motorcycle enthusiast. Located in the heart of the Ozarks, Eureka Spring is home to many great Ozark motorcycle routes. This quiet town is also home to great food, live entertainment and much more. In addition to all of this, there are many great Motorcycle Friendly Accommodations in and around Eureka Springs. One favorite is the Edelweiss Inn. Motorcyclists choose the Edelweiss Inn for its low-key quiet atmosphere and all of the comforts of home! Each room offers amenities such as: 32″ Flat Screen Television, Small Refrigerator, Coffeemaker and Free Wi-Fi! Out front, the newly resurfaced black top parking lot offers a level and secure spot to park your bikes over night. Set back from the main road, this is also a good spot to relax with your bikes. Clean rags are available to keep your bike it top shape. Edelweiss Inn also offers complimentary Motorcycle Route Maps. Stop in at the front desk to see Bryan and Cindy before you leave. They are happy to help you plan your route. The real surprise of Edelweiss Inn is the gorgeous back deck that spans roughly half the length of the motel, overlooking natural Ozark woods. This is a peaceful place to start your day before a ride. Sit out back and enjoy a complimentary starter breakfast of muffins, orange juice and coffee daily between 7:30 am and 10:00 am. The Edelweiss Inn is located directly on a Eureka Springs Trolley Stop, only a mile and a half from the historic downtown. Park your bike and explore Eureka Springs for a day! If the trolley is not your thing, there are several attractions and restaurants within walking distance. The reviews are in and people love the Edelweiss Inn! So much so that they won a 2015 Trip Advisor Certificate of Excellence Award! Check out their great reviews there and on their guest comments page. Don’t delay, BOOK YOUR ROOM at the Edelweiss Inn Today! You will be in Hog Heaven! Visit EurekaSprings.com for more great Lodging Information. 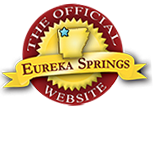 For an in-depth look into Eureka Springs Motorcycles, click here. Shop for motorcycle gear and more at Pig Trail Harley Davidson – Eureka Springs. 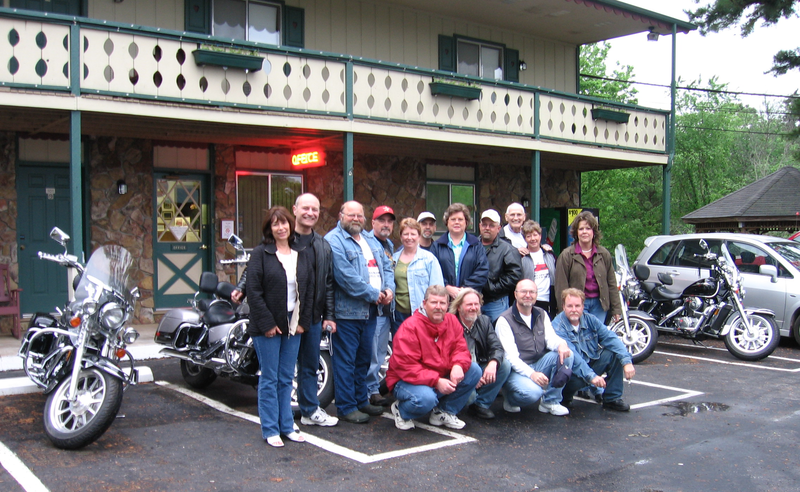 This entry was posted on May 27, 2015 by service424 in Eureka Springs Lodging, Motorcycle Friendly Lodging, Motorcycle Maps, Road trips and tagged Bike, Deck, Edelweiss Inn, Friendly, Lodging, motorcycles, Ozarks, rides.